It’s not enough that you’ve got a website when you’re trying to grow your business. 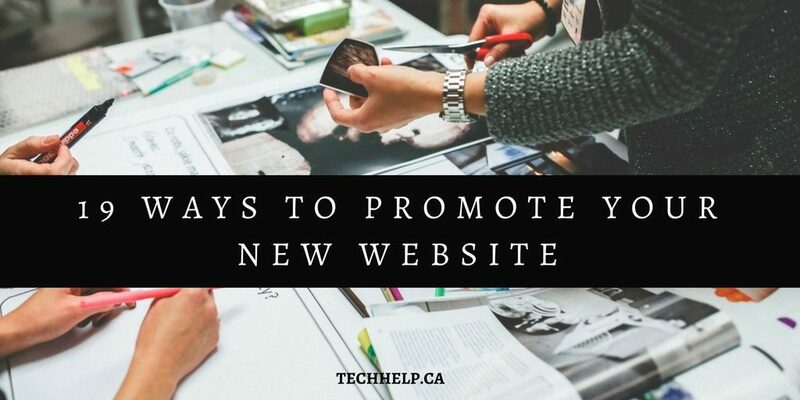 You also need to actively find ways to promote your website in order to attract visitors, who can potentially become customers. No one will know about your website if you don’t promote it, including Google. This is because the Internet is made up of billions of websites and without some form of promotion, you could be a needle in a haystack (metaphor). Fortunately, we’ve put together a number of tips that you can use for promoting your website and increasing reach. Here are 19 ways to promote your website! SEO is one of the best methods for expanding the visibility of a website. It’s the process of optimizing web pages for lucrative search keywords or phrases. Essentially, if your website can be found on the first page of Google search, then you’ll receive more visitors providing that your title, descriptions and body texts are well optimized on all web pages. If you’ve had your website for some time now, then your SEO focus could be getting links or conversion rate optimization. However, for most established websites with authority, they focus on editing the content they already have for improvements and to remove barriers to indexing. This strategy is time-consuming but it’ll position your website to receive more visitors. Starting a blog and creating useful content for your target audience will help you increase traffic to your website. Informative and useful content that grabs attention has been proven to increase website visitors. In fact, many entrepreneurs equate their success online to having a consistently updated blog. That’s because the more content you create around keywords that your audience is looking for, the more indexed pages you’ll have in SERPs (search engine result pages). This also increases the chances that your target audience will find you. Additionally, writing content for other prominent blogs within your industry is an opportunity to increase visitation to your website. A simple link back to your blog or biography from a guest post can attract new visitors. Remember that your organization’s ability to create amazing content is your biggest asset when you own a blog. This is because it helps you create natural backlinks, which are an important ranking factor. RELATED: How to Start a Blog for Free. Facebook is the largest social media platform in the world with thousands of new users every day. Facebook ads can help you target specific groups of people with targeting capabilities such as location, interests, industry and even job titles. People are more likely to click on ads that they find on social media networks because they trust them. But make sure that your ad copy is enticing enough to grab the user’s attention. Furthermore, investing in Facebook advertising is a good way to gain website traffic, while you’re working on SEO. Retargeting involves getting one-time visitors to come back to your website. This is usually done by using cookies that track your visitor’s behavior. You can place or mail out advertisements that’ll entice them to come back. The process is similar to mailing out coupons to your existing customer base, except this time, it’s to previous website visitors. This method is especially useful if you operate an online store. You can win back people who have visited your site without making a purchase. Retargeting can also increase traffic to your site and improve conversion rate. This is when you pay for every visitor that your ad generates. Using Google or Bing AdWords, you can promote your site by paying for clicks. This can be effective, especially if your main aim is to convert most of your visitors. All you have to do is choose the right keywords, create a good ad copy and the search engines will help you generate traffic. This strategy can get expensive real fast unless you’re sending users to a dedicated sales landing page and targeting the right keywords. In which case, your investment should be yielding revenue. Here’s a quick example: Let’s assume that you chose keyword “X” and placed a bid of $3.00 per click. This means that every time someone clicks on your ad, you’ll pay $3.00. If you sell cars and you target “cars” as your keyword, you’ll lose a lot of money because the keyword “cars” is too broad and is unlikely to be a buying decision maker. Meaning that most of the people who click your ad copy will still be in the awareness and research phase of the sales funnel. However, if you use keywords like “Toyota Camry 1996 for sale”, you’ll get prospects that already want what you’re selling. 6. Use Your URL Like a Ninja! Your website URL is the key to increasing traffic to your site. By using it effectively, you can increase traffic and the overall visibility of your website. To use your URL, you need to put it in front of your target audience. You can do this by placing it on any piece of marketing information you hand out and digital creatives that you post. This may include things like your business cards, email signature, print advertising, brochures, flyers and comments. There are a lot of online directories and industry-specific listings that you can use to reach more people. Most people use online directories such as yellow pages and Yahoo to find information regarding various industries. So if you list your business with these directories, you’re likely going to increase traffic to your website. Also, some industry websites and associations allow business listings, which are also great places to promote your website. Podcasts are audio recordings done in a radio talk show format. If you create helpful podcasts, you can post them on sites like Apple’s iTunes, YouTube, Podcasts directories and even your website. Promote your website at the end, beginning or both in every podcast. Use this marketing strategy to spread the word about your business and reach out to potential new clients. There’s plenty of free software available for creating podcasts, just do a search for them. There are thousands of online communities that cover almost any niche in the business world! Join some online communities within your niche. This will give you access to existing markets for your products. You can get them to visit your website by sharing links to useful information (your blog content for instance). Also, join online discussions and offer helpful insights to others for free. This helps you promote your website because it can entice people enough to learn more about your business. Q&A (question-and-answer) sites are a good place to start. Publishing reports and other information about your industry can help you appear as an expert in your niche, which increases people’s interest in you. By educating your customers through publications or articles, you can create a following, which is a great way to promote your website. Use email marketing to retarget and gain new followers. Your website should have an email opt-in form for building your mailing list. Email lists are often used in affiliate marketing but you can also use them to promote your site too. By sending your customers important information on new products, coupons and special offers, your customers are more likely to revisit and buy something. Email is also a great way to share useful info with your customers. This is usually a two-way traffic where you let a given company insert links to its product on your website and in return, you insert links to your products on their website. Provided that they’re reputable and high traffic sites, these links will send you referral traffic on a regular basis. Note: With changes to search engines and their algorithms, link building is now about quality, not quantity. Also, websites can be penalized for building spammy links. Avoid potential pitfalls by hiring SEO professionals. You can promote your website with the local press. Create a working relationship with local radio stations, newspapers and even TV stations where you can pitch your new ideas or products. It’s a good strategy for spreading the word about your business, which will attract interested visitors to your website. Use your website to offer free samples of your goods and services. You’ll attract new visitors to your website, who want to try the free samples. This is a great way for building your mailing list too. Just require an email address to send out the free stuff. There are a lot of companies that offer free classifieds that you can take advantage of to reach more people. Places like Craigslist and Kijiji are good places to start. There are a lot of awards for product and service dealers. You can enter into some of the competitions in your niche and try to win an award. You can attract more visitors to your website with the free publicity. Charity work can boost traffic to your website. By donating to charity, you get an opportunity to build backlinks to your website. This will increase visitation from the local community and improve your rank in search engines. Offering excellent customer service to your customers is a good way to reach out to new clients because of the word of mouth effect. Let your services and products sell themselves. Try to make sure every customer is satisfied with the quality of your service. This can increase repeat visitation and good recommendations. Look out for ways to build alliances with businesses by offering complementary products and services that do not conflict with your interests. This will help you promote each other’s website through link sharing or other means, which in turn increases visitors to your site. Even something as simple as a guest posting alliance can go a long way. There you have it! That’s 19 awesome ways that you can promote your website! Ultimately, how you promote your website depends on your niche market. It’s best to focus on one to three of these strategies than to do too many promotional strategies at once. That’s because if you don’t have enough resources for the marketing load, you can lose out on quality. Although we didn’t mention video marketing here, it’s an effective way of promoting most businesses. You’ll find this guide helpful: Beginner’s Guide to Video Marketing. 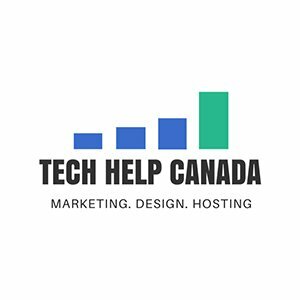 What are some of the ways that you have promoted your website? Please let us know in the comments.